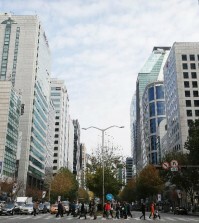 (Yonhap) 22 individuals were indicted in Korea for allegedly having leaked questions from an U.S. college admissions test, and lecturing with the illegally-obtained materials. 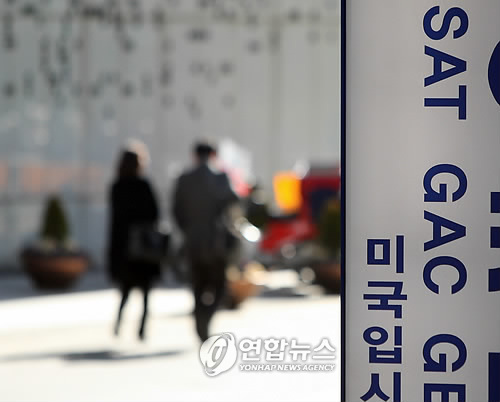 The Seoul Central District Prosecutors’ Office said it indicted eight middlemen on charges of illegally distributing and selling the questions for the Scholastic Aptitude Test (SAT). Fourteen institutes were slapped with charges of hampering businesses and violating copyrights. According to the prosecution, one middleman, surnamed Kim, 22, raked in 227 million won ($213,000) from applicants, lecturers, and other brokers by selling questions on 358 occasions. Another owner of an private SAT academy, whose surname is also Kim, 28, located in the Gangnam district, used a small camera to take pictures of the question sheets in Guam in March last year. 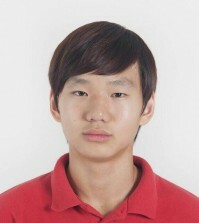 He also hired four people to memorize questions of the test in May in Korea. Kim collected the questions from the four people and used them as materials during his class. Prosecutors said another academy owner paid some 47 million won ($44,000) to buy the questions from the middlemen. The question sheets were sold at up to 300,000 won ($280) per set. The College Board and the Education Testing Service (ETS) ― the two administers of the test ― have provided tests through question banks system for SAT, and they don’t provide sample tests. ETS provides only part of the questions through its authorized channels, but no questions can be reproduced, distributed, sold or provided in lectures. 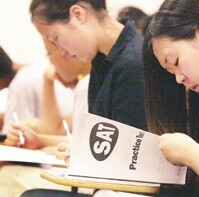 After a series of question leaks in Korea, the College Board cut the number of SATs administered in the country from six to four. SAT used to be held six times ― in January, May, June, October, November and December. However, the test administrator decided in July that it will cancel two sessions that were scheduled for January and November for two years from 2013. Prosecutors also found some academies overcharged students and evaded taxes during the investigation. Is the SAT truly a fair assessment?